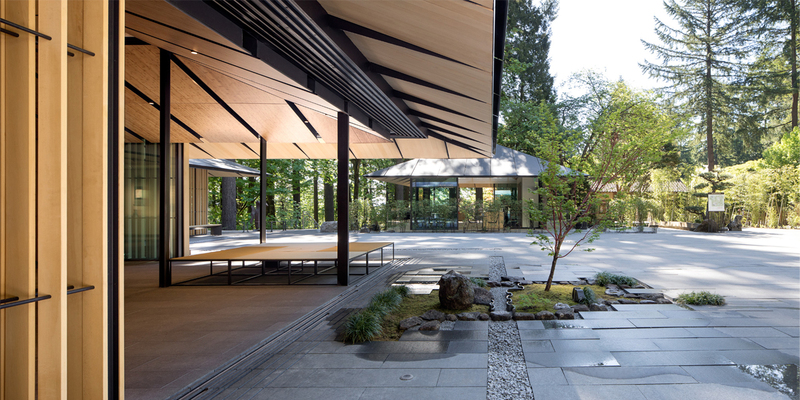 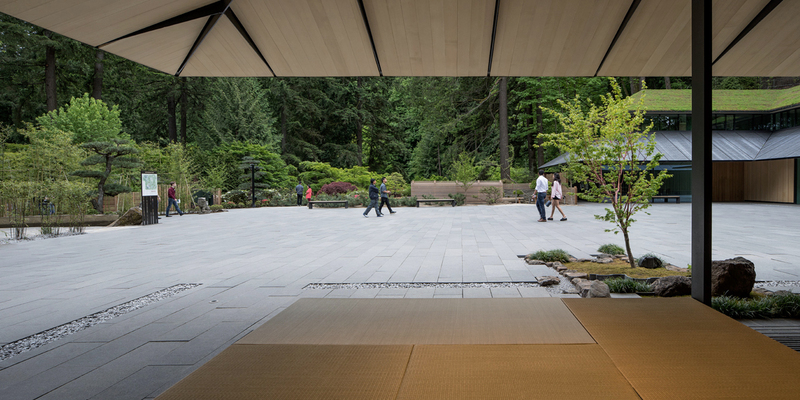 Portland Japanese Garden’s new Cultural Village is a modest, human-scaled set of buildings arranged around a courtyard plaza, whose fourth side is the existing, untouched gardens from the 1960s. 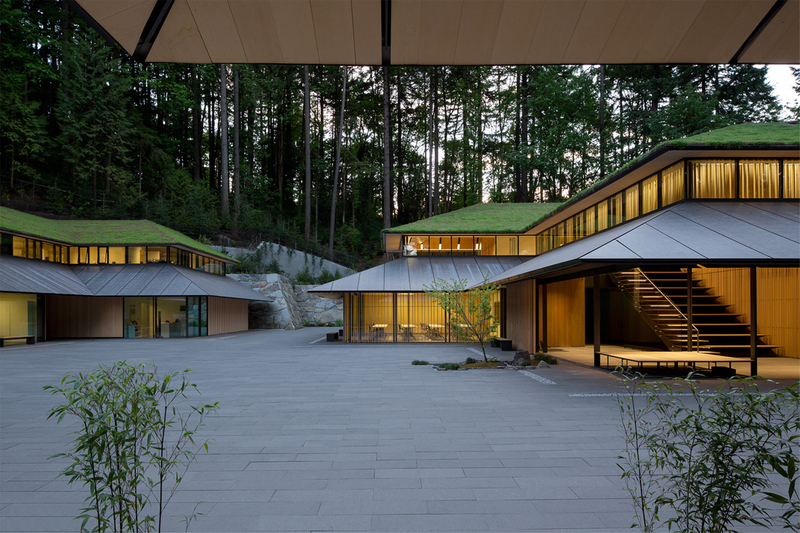 The project is a village positioned along a journey from the city to the top of the hill, a form of modern monzenmachi wherein the pilgrimage pays homage to the spirit of nature. 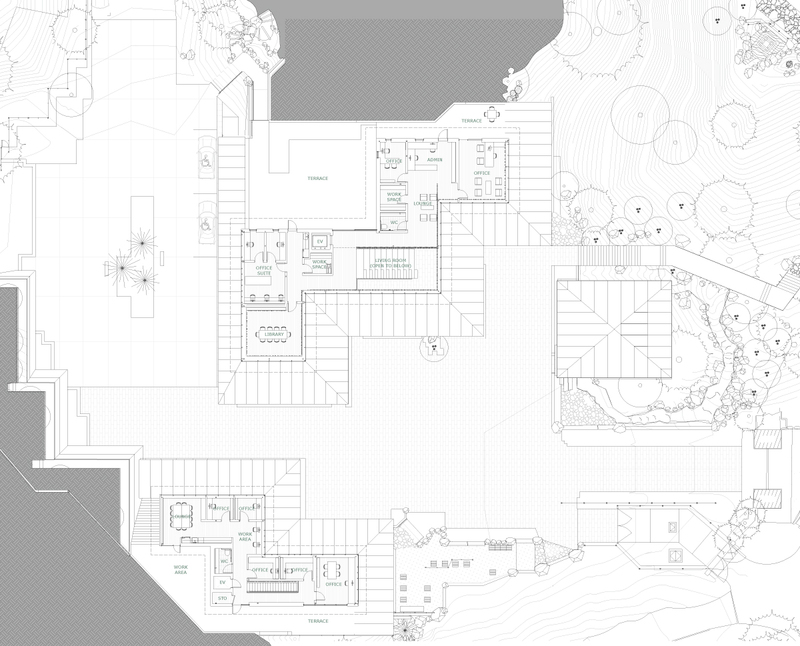 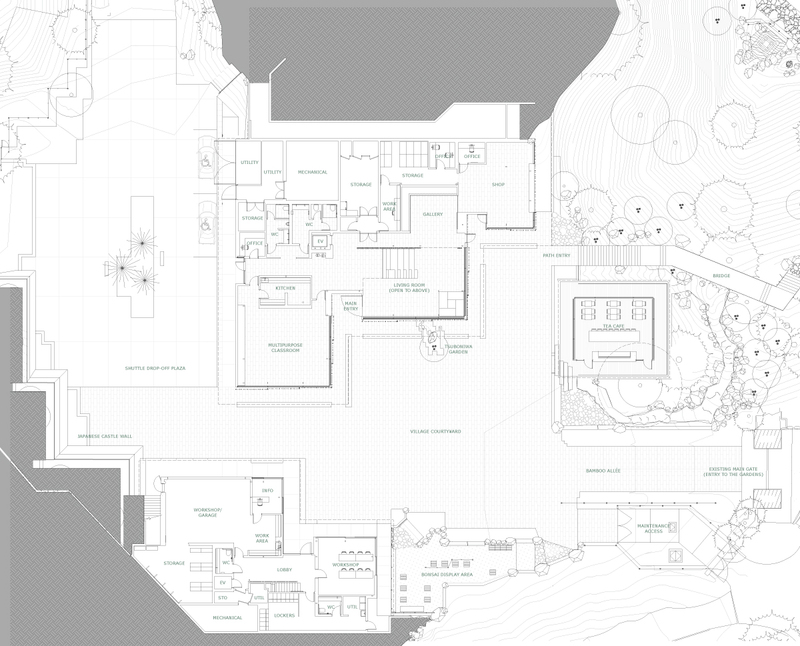 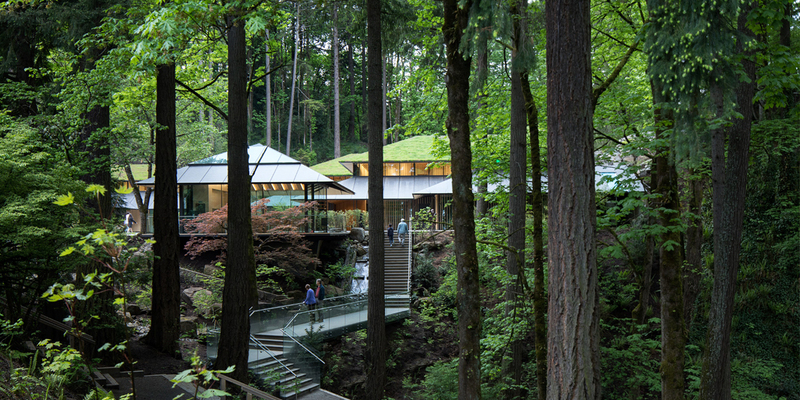 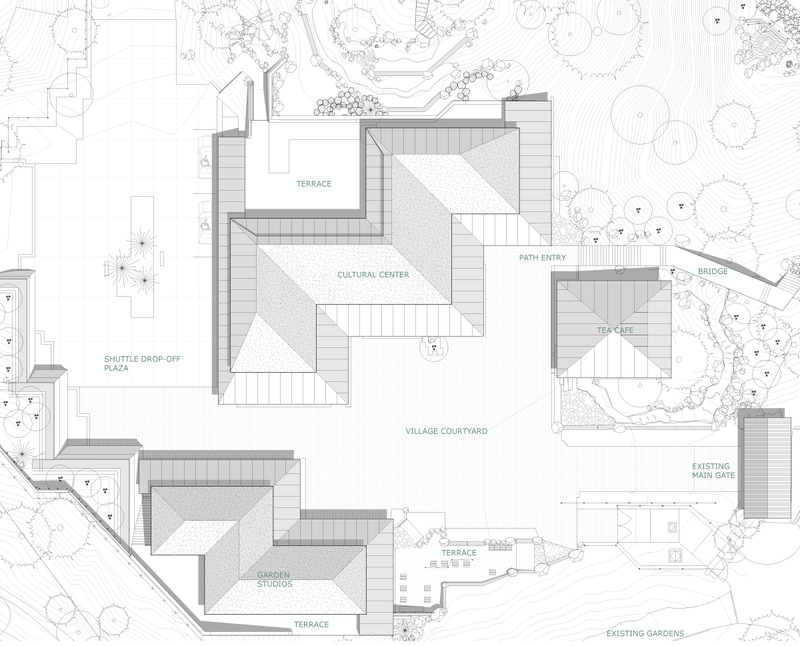 There are four buildings, each with its own means of merging into the dramatic slopes of the terrain, in combination with the tall vertical lines of the Pacific Northwest conifers: the Ticketing Pavilion floating above gentle stepped ponds, the Tea Cafe hovering above the ravine, and the main Village House and Garden House. 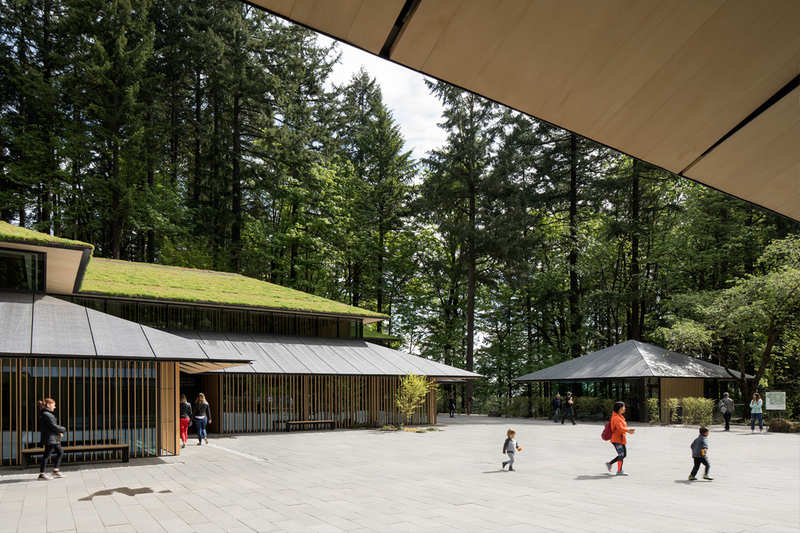 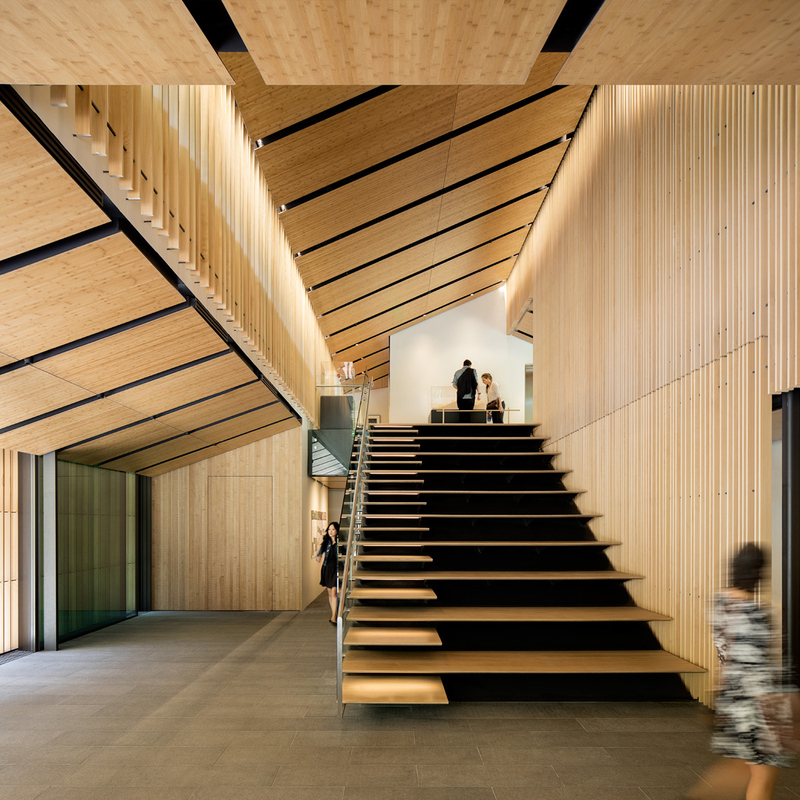 Although the architecture is deferential to the landscape, the key device is the zigzagging roof—creating deep overhangs of soft metal and lush vegetation, and a porous boundary to encourage a direct relationship with the renowned Portland rain, and its temperamental sun—in a soft, indeterminate, and flexible border. 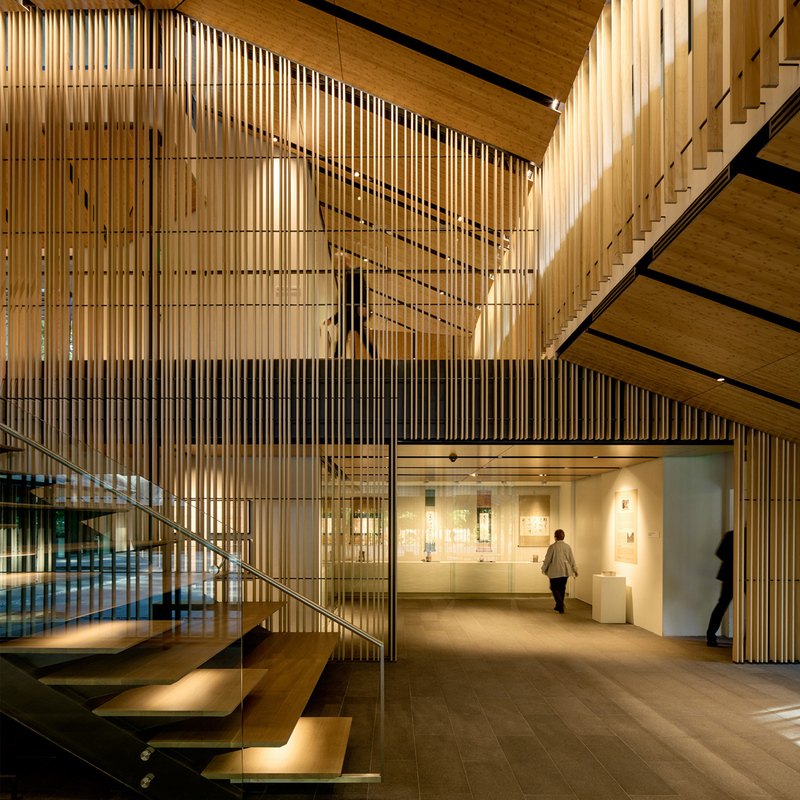 In collaboration with Sadafumi Uchiyama (landscape design), Hacker Architects, Walker Macy.